MTG Realm has now been live for about 8 years, has about 12,000 regular followers and have hit about 7 million page visits. These metrics may be impressive but it still pales in comparison to the vast volume of Magic: the Gathering cards found in just about every room in our secret lair. We've got cards in desk drawers, binders, boxes, shelves and believe it or not, the collection is fairly well organized. Having said this, we will admit that our MTG shelf is not rather pretty with the large variety of storage options we have (yep - hashtag that first world problem). 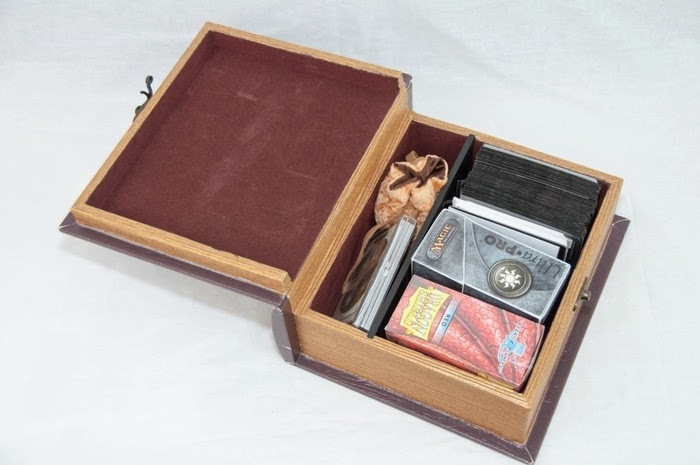 Anywhoos, we've recently picked up a very interesting deck storage box - the Alpha Edition Grimoire Deck Box from Wizardry Foundry. First and foremost, this box looks great on the shelf and has actually given us a bit more space after organization. This box is constructed with wood, bonded leather, and has a felt liner which makes us feel a lot better about how much safer our cards are now. You can squeeze about 1000 un-sleeved cards in the box, or put all your existing deck boxes right in there. 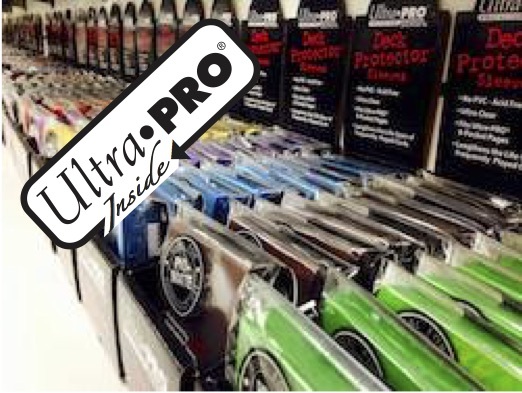 It'll take 10 UPR 75-card boxes or 4 of those mag-flip boxes with room to spare. Best of all, if you have a cube and need to take it over to your friends place, this box is for you. Before getting the Grimoire, we did our research, as with all our purchases, and the thing which impressed us most, is that Wizardry Foundry had gone out of their way to solicit feedback from the gaming community. 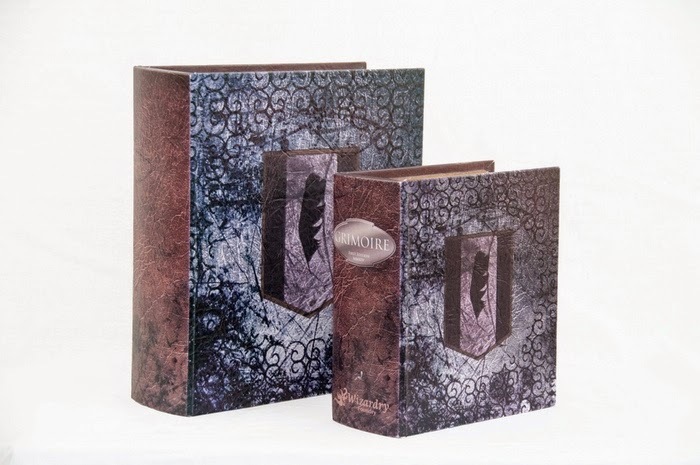 Armed with this feedback, Wizards Foundry will be moving forward with the design and manufacture of the next generation of Grimoire deck box - The Grimoire Pro Tour. You can also help them by dropping by their Kickstarter page. • Closure - Alpha Edition has a magnetic closure and can pop open during transport but latter editions have addressed this. • Artwork - liking the artwork on the Alpha but want better selection which the Kickstarter hopes to address. • 7.5" x 8.5" x 3.5"
Wizardry Foundry and its founder Jonathan Lau answered the gaming community call for improved portablility with yet another re-designed version. Please drop by the Kickstarter project page for additional information.